Exploring Anxiety in the Workplace - Anglia Counselling Ltd. Many of us may experience anxiety and stress in the workplace, but how often do we consider the ramifications? Nathan Rosas, an enthusiast blogger who shares valuable write-ups on health and fitness on his blog has a passion is to share the ideas and knowledge with readers worldwide. Do you like to call your colleagues over the phone or prefer to mail them instead of personal communication? Do you like to avoid the corporate meetings or prefer to sit in the quiet corner so that nobody should notice your presence? So you prefer to suppress your work related queries instead of speaking out even at the risk of affecting your performance? If answer to these questions is “Yes”, then you might be suffering from “Work Anxiety”. Even general public and good workers can also feel uncomfortable, awkward or even frightened at times, like during a corporate meetings, presentations, etc. But it becomes a problem when your anxiety is loudly expressed through your facial expressions and body languages. It makes you a “topic” among the colleagues and the staring glances makes it more difficult for you to bear the situation. 1. Public Speaking: This is the major anxiety that can affect your professional and personal growth. During the meetings, even if one has a good knowledge on any particular topic, s/he prefers to remain silent because of the fear of speaking in the public. They are more concerned about the voices, the words, the correct expressions and other apparent features rather than the point itself. It prevents them from showing their expertise. 2. Effect on Memory: Another effect of workplace anxiety is a poor memory. One will just forget that where s/he kept the file just five minutes ago. Did s/he already greet your colleague in the morning or even at times one can be finding the pen that is already inside is/her pocket. 3. Taking Meals: People also feel nervous while eating during the working hours. They end up eating in the most inappropriate way or mostly prefer to eat much less than what they need. 4. The Façade of Mobile: Many such people prefer to pretend that they are talking over the mobile during the free time to avoid socializing with the colleagues. 5. Dealing with Clients: Many people prefer to remain almost quiet while dealing with the clients who want to do business with the company. Such staff prefers to speak very little despite knowing how big a deal is. Having said that, it is very important to know that this is not the condition one has to compromise with. Such conditions should be discussed with the friends and qualified psychologists for knowing about the solutions. 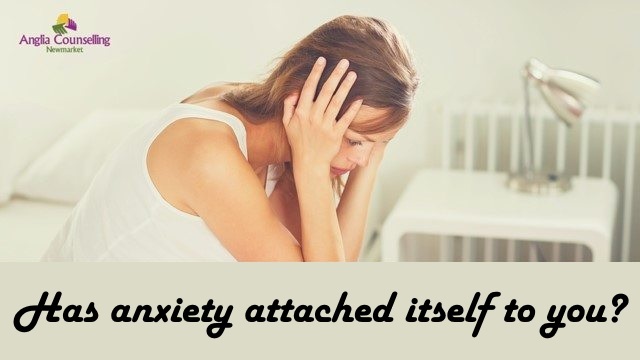 ← Has Anxiety Attached Itself to You?